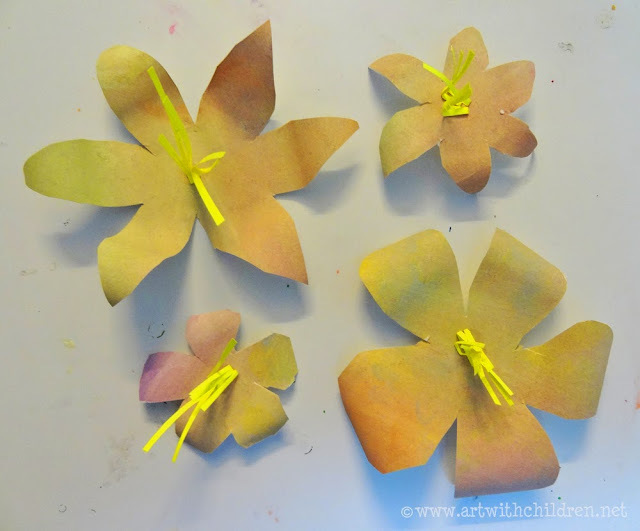 We combined Holi and spring colours to make a floral garland that looked great when hung on the wall! 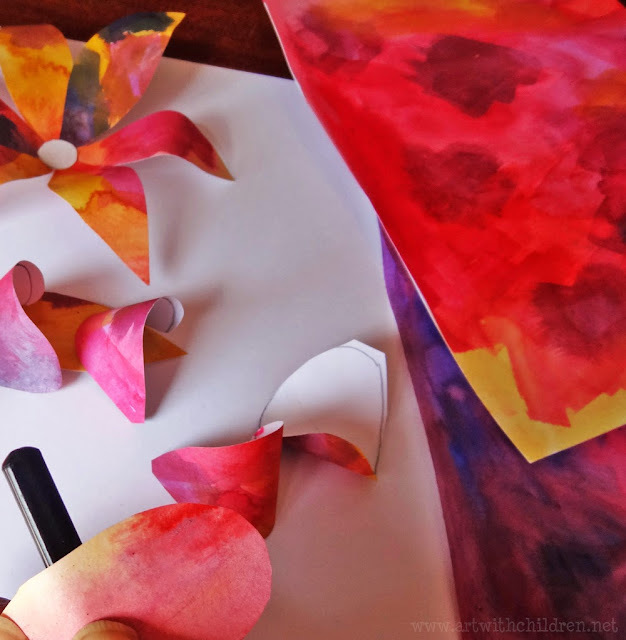 Supplies required: Poster colors, white paper / reusable papers or card stock, some coloured paper scraps, sponges, adhesive / glue/ pva glue, ribbons, scissors and a stapler. We used sponges and brushes to dab and smudge the colours. The sheets were left to dry. 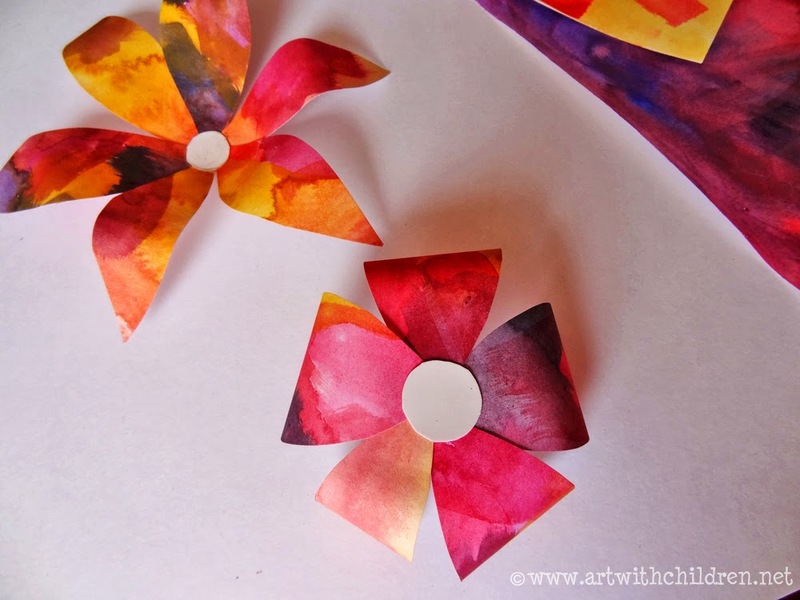 The paper was cut into petals of various shapes. 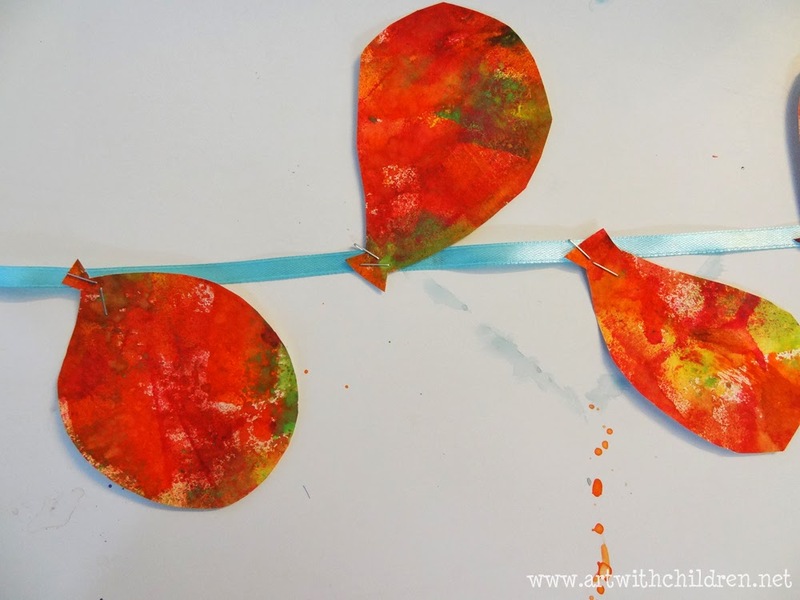 We chose to cut out oval and leaf shaped petals. 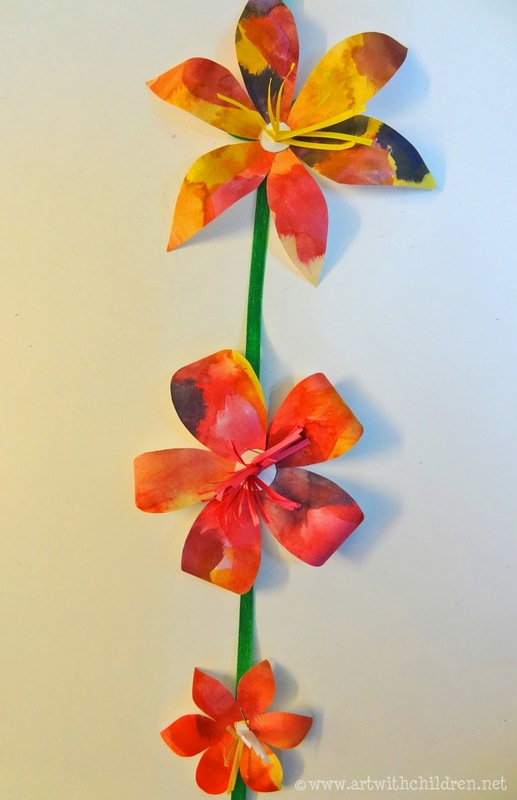 Holding the petal between the thumb and a pencil below, each petal was curled a little bit. 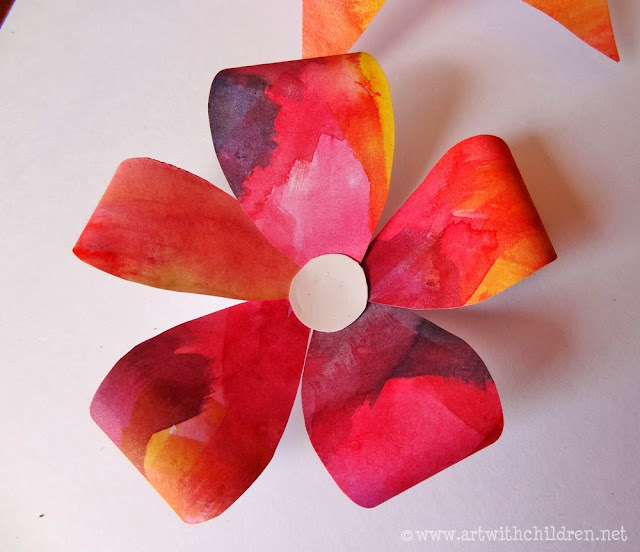 The petals were pasted onto a small white circle cutout using glue. Stamens like these above were cutout in various colours. 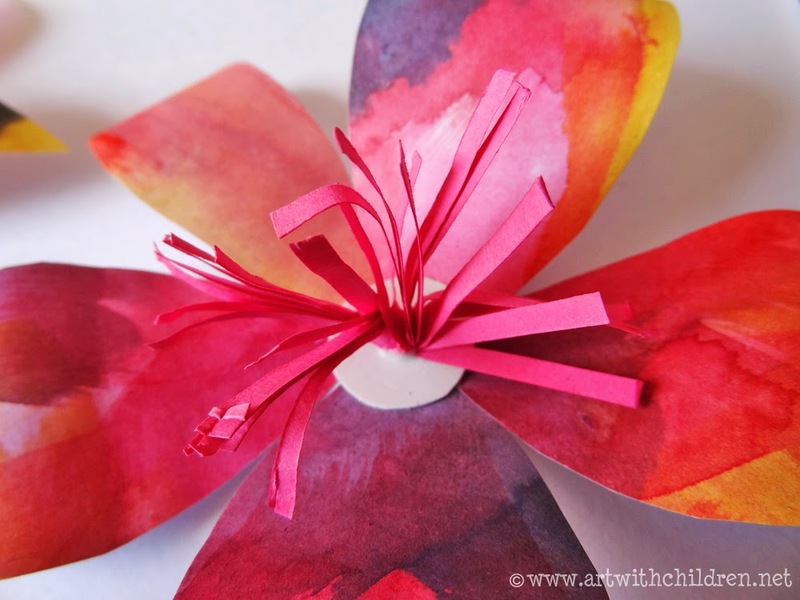 Press and hold the stamens in the center to secure them. It was nice to enhance the flower with some sepals! They were stuck right under each flower. 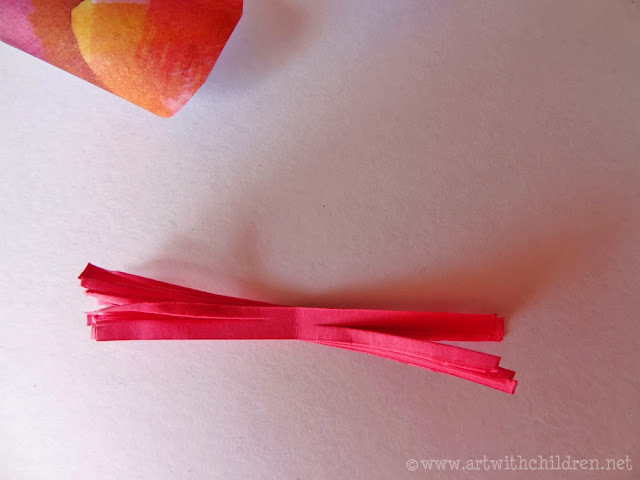 We strung the flowers onto a ribbon using a stapler to pin them. 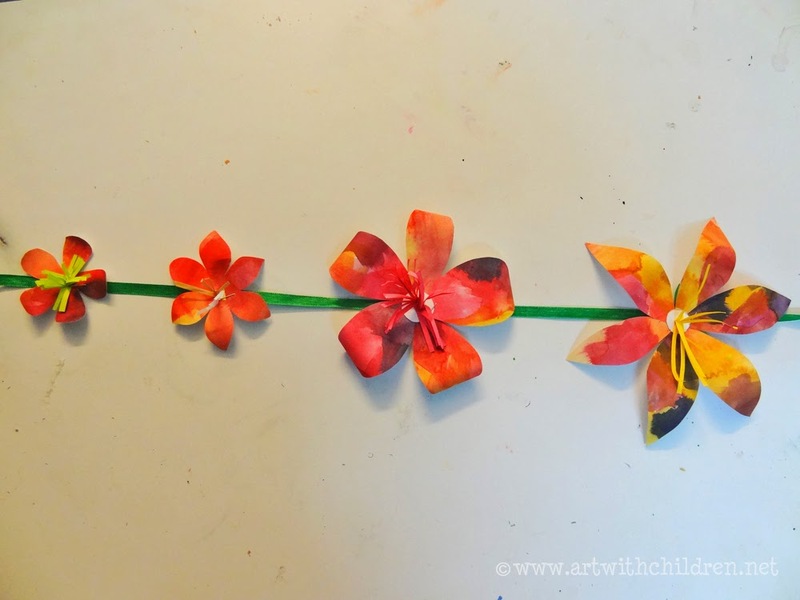 The flowers were stapled onto the ribbon as preferred and the wall hanging was ready. 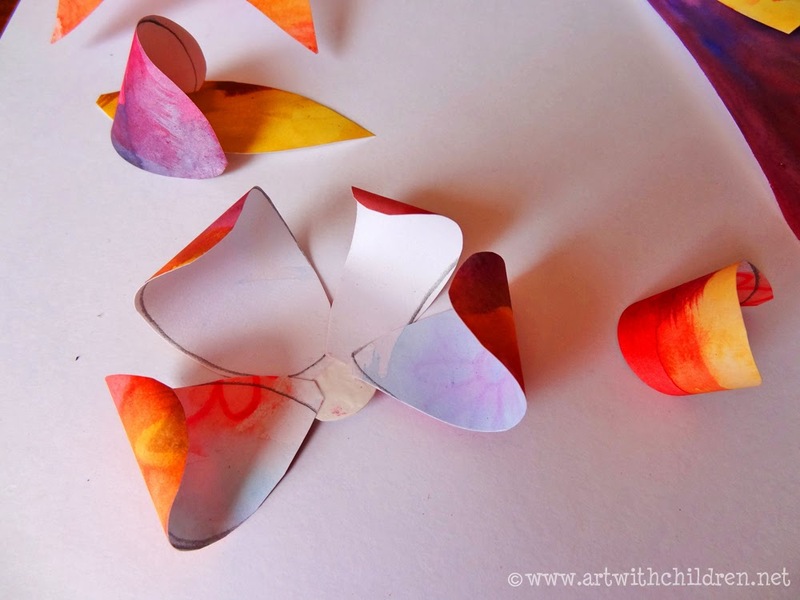 On the tip of the ribbon we also added a choice of shapes like-hearts, butterflies, stars etc. This may be skipped if using this as a garland. Here is a simplified version of the flowers. This version was better for the younger children. It is EASY. 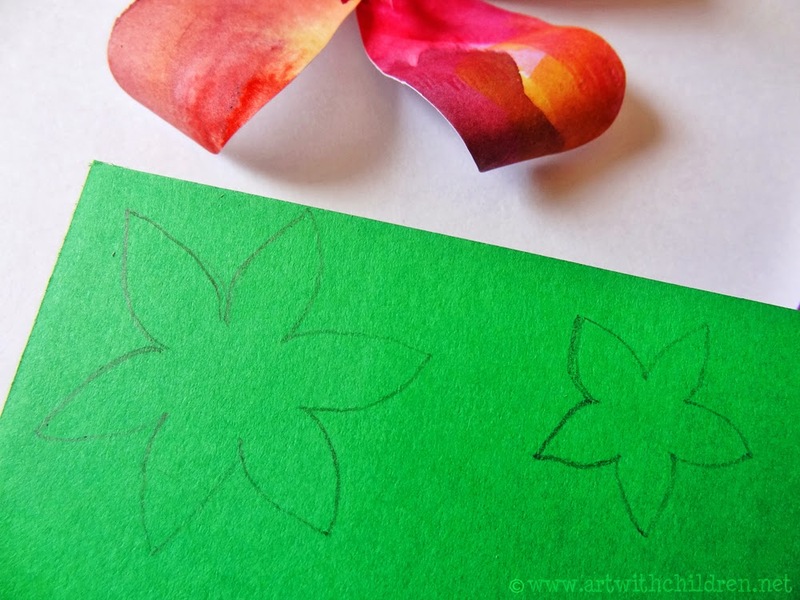 After painting/smudging and drying the sheets, we drew the flowers on the reverse side of the sheet and cut the flowers out. 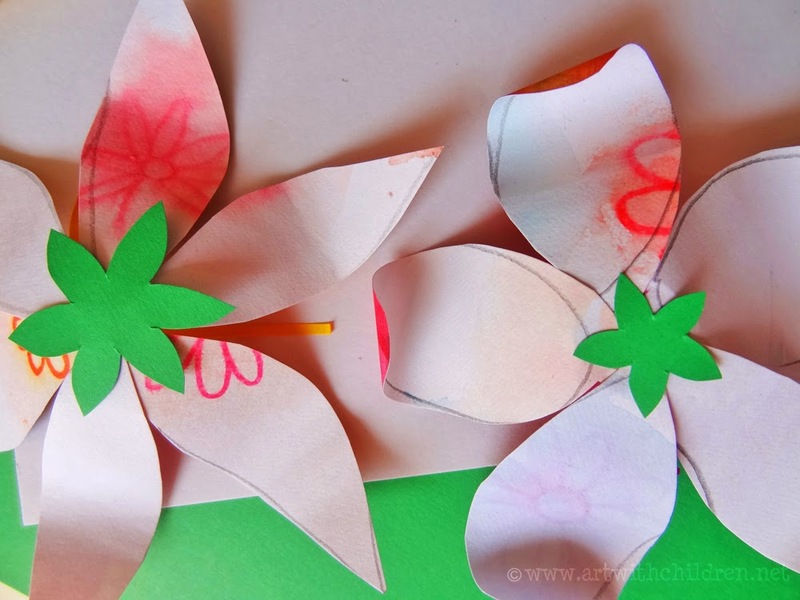 We then curled the petals gently (help required in curling) and pasted the stamens. They looked great when done! This unique idea was appreciated by everyone in the group and the balloons looked marvelous on the garland! 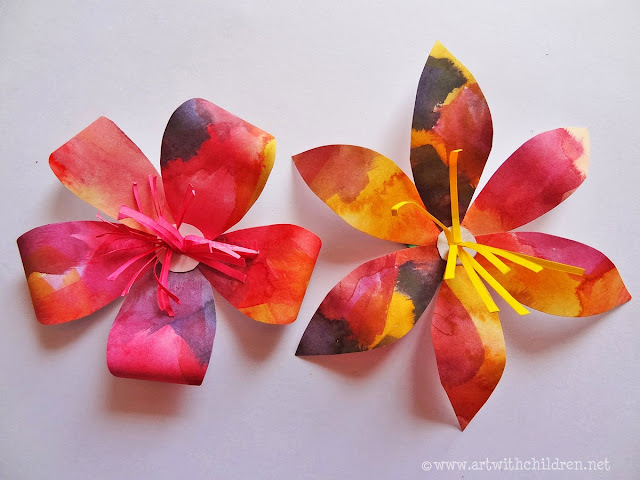 It turned out into a great Holi themed craft. 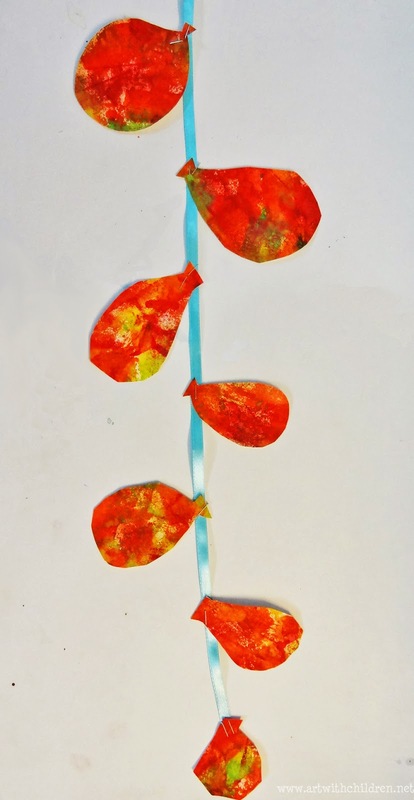 So here we have our water balloon garland, looking delightful as ever! Thanks for viewing and supporting us. 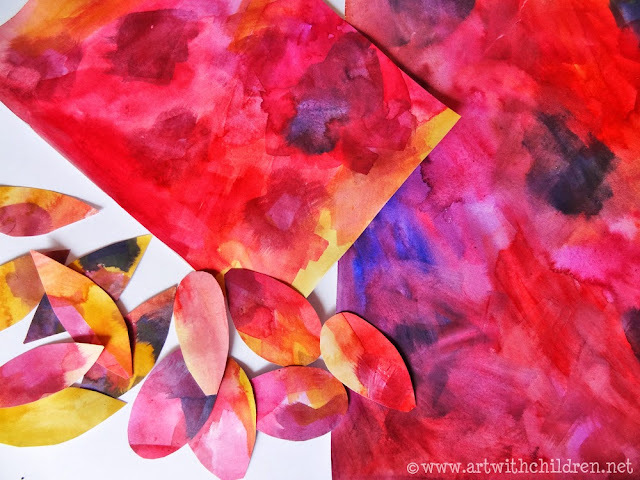 Wishing all a Happy Holi! 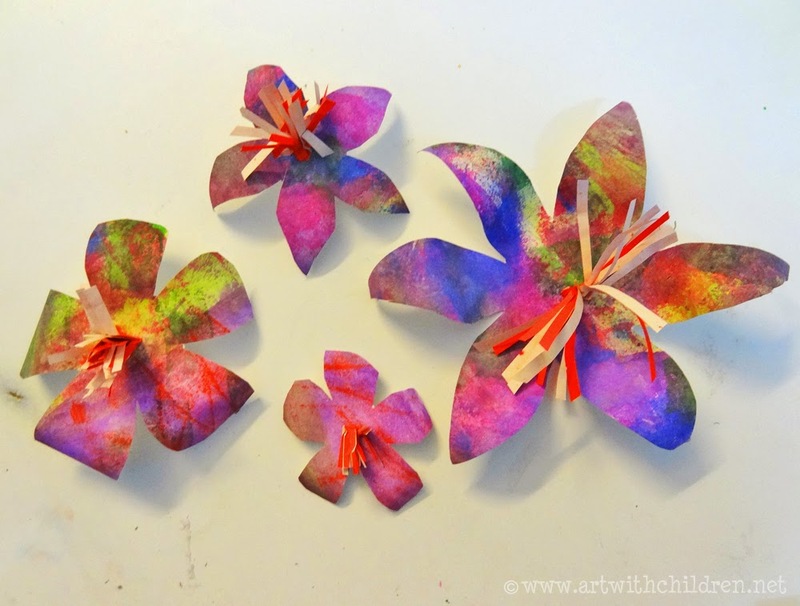 We are having a Holi Link party & a fun giveaway on my blog - http://artsycraftsymom.com/diy-holi-gift-tags/ and would love for you to join us. Even if you don't want to participate in the giveaway, feel free to link up and I'd love to send some traffic your way.